Home Food Have You Heard Of The Rajasthani Delicacy Khad Khargosh? Rajasthan is the land of colours, food and culture. The vibrant colours of the cities, the sumptuous dishes and the stunning monuments make the state a must-visit. The best known dishes of the Rajasthani cuisine are dal baati choorma, gatte ki sabji and the sweets- ghewar and gulaab chakri. Rajasthan is mainly known for its vegetarian delicacies. However, there is an undiscovered non-vegetarian side to Rajasthani cuisine. Some of Rajasthan’s most delicious dishes include Jangli maas, Laal maas, Safed maas and Khad khargosh. There was a high occurrence of hunting in the past in Rajasthan. The royals used to eat the animals they used to hunt. Hence a host of animals, such as pigeons, rabbits, camel were eaten by the Rajasthanis. They were cooked in a ‘pind’ or pit dug in the ground. So, the animal used to be cooked underground. One of the best known of these ‘pind’ delicacies is ‘khad khargosh’.So are you ready to turn into a royal Rajasthani hunter and eat some Khad Khargosh? Khad Khargosh was eaten by the royals in the earlier days. The ‘pind’ or pit-cooking practise, however was a common practice used by the soldiers during battle days. Not just khargosh or rabbit, but many other animals including chicken and even wild boar were cooked in this way. But khargosh was used more by the royals, and was considered the most delicious. The khargosh looks delicious, doesn’t it? Now, how was this intriguing dish cooked? Its really complicated actually. The whole rabbit was rubbed with spices and marinated. The spices included red chilli powder, haldi,pepper, jeera, aamchur, dhaniya, etc. 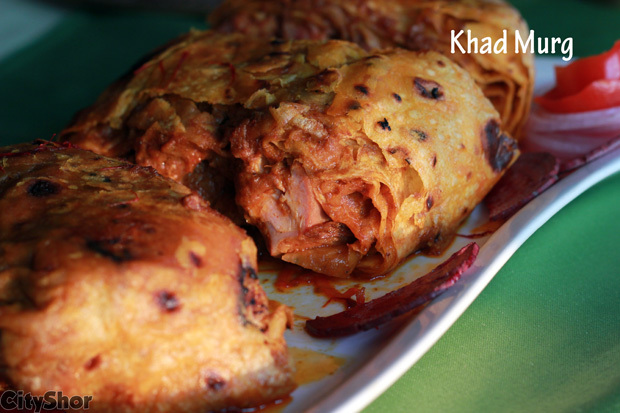 After marinating, the khargosh was wrapped in a kaccha roti. This roti was pretty big, as it had to wrap the whole rabbit. After wrapping the animal, it was put into a jute gunny bag and put into the pit to cook. The pit was filled with burning charcoal and lined with mud. The meat cooked really slowly for a long time. Khad khargosh has a unique way of cooking indeed! 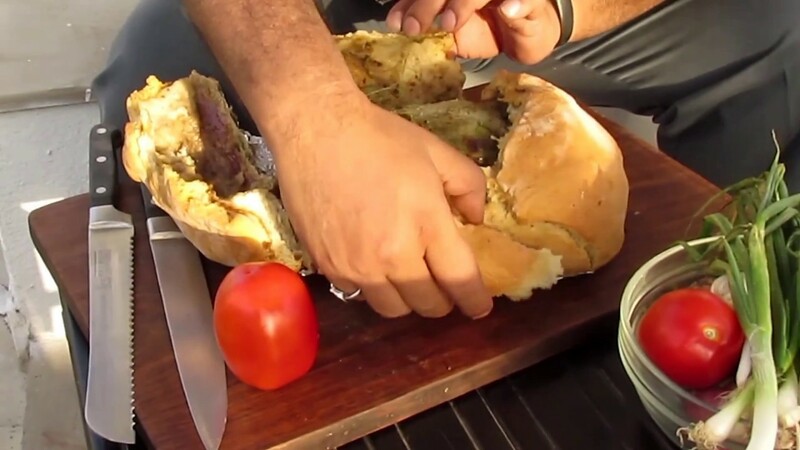 The hunters prepared this dish for the royalty after a day of shikar, in celebration of a successful shikar. The Royalty, on the other hand used to sit and enjoy the bonfire.The whole process of cooking this dish sounds pretty complicated, right? That’s perhaps the reason that this dish is gradually disappearing from the local scenario. 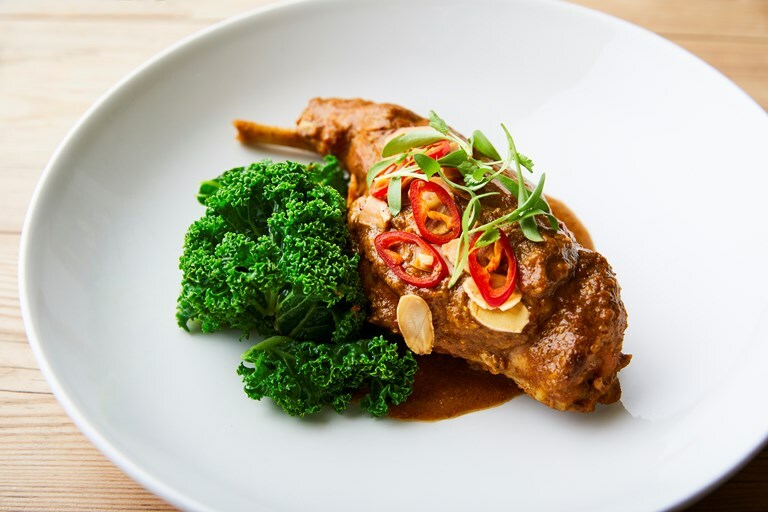 The complicated and lengthy cooking process, the various ingredients required and the type of meat needed are reasons this dish is slowly disappearing. 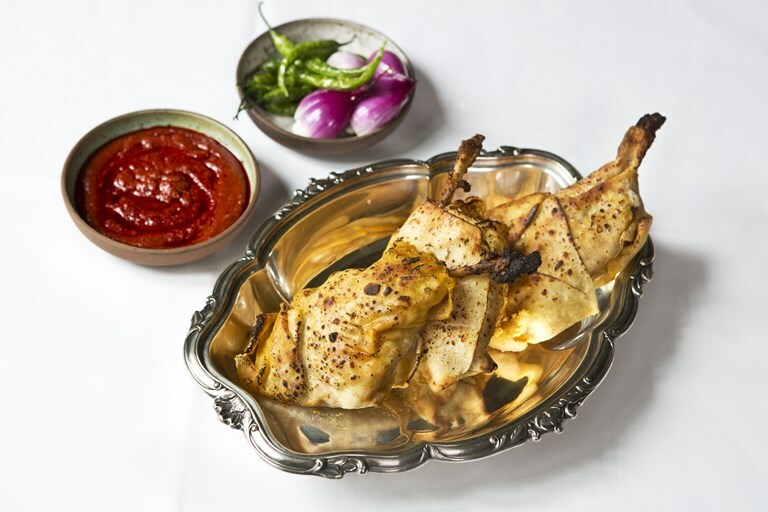 Nowadays it is cooked only in some areas around Jaipur, but using chicken instead of rabbit. Not just khad khargosh, but many heritage recipes are disappearing. We need to revamp or revisit these recipes, for they are a part of our heritage. Our old recipes getting lost so isn’t our culture diminishing?